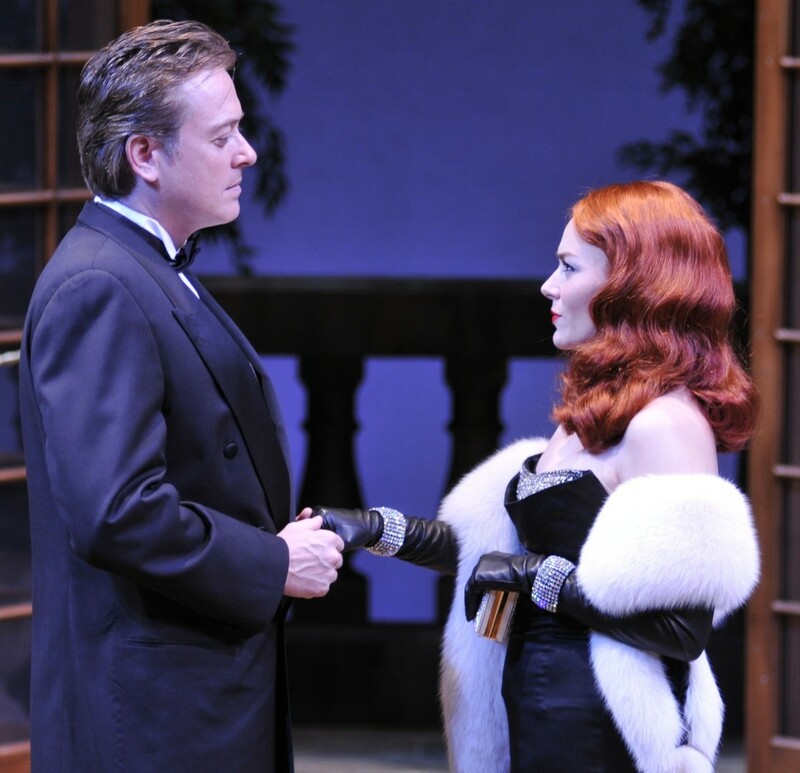 (Left to Right) Mark Shanahan as John Cristow and Laura E. Campbell as Veronica Craye in the Alley Theatre’s production of Agatha Christie’s The Hollow. Mark Shanahan is a New York–based actor and director with a long association with the Alley Theatre. He plays John Christow in Agatha Christie’s The Hollow, which opened this week as part of the theater’s long-running ExxonMobil Summer Chills series. Houstonia: You co-directed Sherlock Holmes and the Adventure of the Suicide Club, which just concluded its run at the Alley. What are the differences in how you have to approach a Sherlock Holmes mystery versus an Agatha Christie mystery? Mark Shanahan: With Agatha Christie, I enjoy the plays even more than the books, and in this one Christie gives us such great characters. Holmes is always the most interesting character in a Sherlock Holmes play. In Christie’s fantastic script for The Hollow I think you have a whole host of excellent characters—a lot of really interesting, different people with different backgrounds who arrive at this country house for the weekend. You just know that no good is on the way. H: Talk a bit about your character. When he shows up he seems just about as unpleasant as anybody could be. MS: I love it—it gives me carte blanche to be a heel, a good, old-fashioned English cad. He’s a pompous doctor who is suffering in an unhappy marriage. But he’s also having an affair with a woman who’s at the house for the weekend. And then he finds out that his old girlfriend, who’s now a Hollywood movie star, is living just down the lane at a cottage nearby. So he’s got three women he’s juggling. It’s fun to play a guy who thinks he can have his way no matter what. I know the audience kind of bristles, but I try to show that he really isn’t such a terrible guy underneath. H: I assume you’ve played English characters before, because your accent in the play sounded spot-on to my ear. MS: I’ve done a number of plays set in England at the Alley—Journey’s End, Witness for the Prosecution, Tryst, Treasure Island—and I’ve also been in The 39 Steps on Broadway and then directed it here at the Alley. I’ve also had the opportunity to work with some great dialect coaches. The Alley has brought in some of the best there are in New York, and also in Houston, to work with us. Then, I watch a lot of Downton Abbey and study the different accents. I think one of the joys of being an actor is wearing the clothes, and wearing the accent, and walking on stage to become someone else. H: You’re based in New York—what keeps you coming back to the Alley? MS: One of the joys of doing plays here is that the resident company is like a family. Elizabeth Bunch, one of the actresses here, said that I’m their kissing cousin; I get to come back every once and a while and join back into the family reunion. I love these people—I love working with them, I love the way they challenge each other, and I’m so proud to feel like an extended member of their family. Also, the audience in Houston loves the Alley. You know you better step up, because they are demanding; if it’s not good they’ll tell you in the hallway or the elevator. H: What kind of feedback have you gotten about The Hollow? MS:I think every wife in the audience hates me. I got in the elevator the other night after the show wearing a baseball cap, but a woman recognized me and said, “How could you treat your wife like that?” And she walked out of the elevator. She was pretty angry with me. I took it as a great compliment—it means she was that invested in our story and our play. It’s fun to get a strong reaction. By curtain call, I just hope all is forgiven.